Of the almost 750 million acres of forest in the U.S., only about 3.5 million acres (or 6-percent), are considered old growth. COOKSBURG PA — Old growth forests in North America are very rare. It’s estimated that of the almost 750 million acres of forest in the U.S., only about 3.5 million acres are considered old growth forests, and scientists have been debating for years on how to define them. Cook Forest in Northwest P.A. was founded in 1927, and Luthringer says it’s considered one of the finest stands of old growth White Pine and Hemlock in the United States. But this forest is not special only for the immense height of it’s trees. These towering sentries are truly ancient. When the park was founded it was an effort to protect this unique environment from the ravages of the timber industry. Now almost a century later, park management must defend the Hemlocks from a new destructive force. 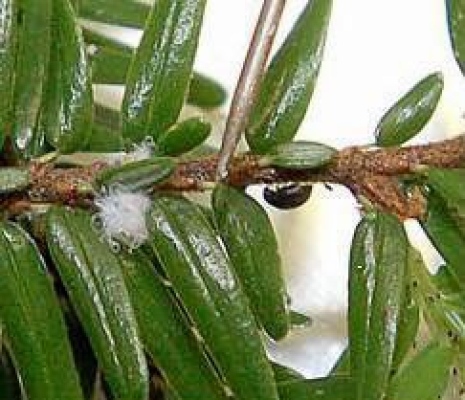 The invasive insect Hemlock Wooly Adelgid was discovered in Cook Forest in 2013. The tiny insect can kill trees within four to 10 years of infestation, and is ravaging forests across North America. Fortunately for the Cook Forest Hemlocks, the park was prepared for the invaders, and have been successful in protecting the cherished trees. An insect infestation that is killing hemlock trees in New England forests is having a significant impact on the water resources of forested ecosystems that provide essential water supplies to one of the nation’s most populous regions, according to research by Indiana University geographers and colleagues at three universities in Massachusetts. The study is the first to show an increase in water yield—the amount of water reaching streams and rivers—resulting from forest damage caused by an insect pest called the hemlock woolly adelgid. Insect-damaged trees use less rainfall and allow more water to reach the ground and run off into waterways. 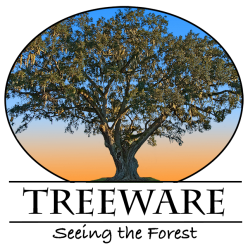 With less foliage, the trees return less moisture to the atmosphere via transpiration and evaporation. Hemlock woolly adelgids aren’t native to North America, but droves of them have settled into American forests where they threaten entire ecosystems. A tiny bug, no bigger than a grain of pepper, is wreaking big-time havoc in US forests, and forest managers are scrambling to keep up. Hemlock woolly adelgids aren’t native to North America, but droves of them have taken up residence in hemlock forests, from New England to the West Coast, thanks to increased trade and travel. Nestled under the needles of hemlock trees, the invasive insects cut off nutrients to the tree and can eventually take down trees that have stood for 300 years. 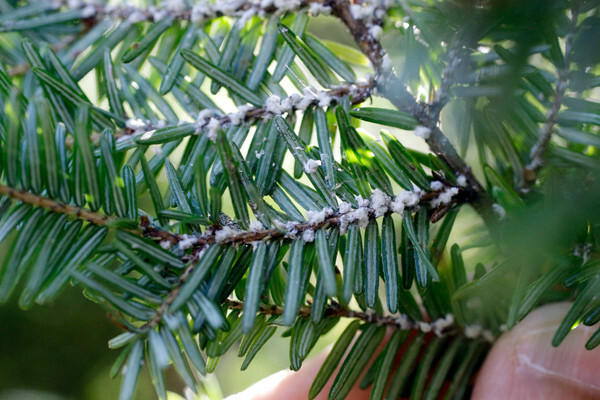 If left unchecked, the hemlock woolly adelgid and other pests are projected to put 63 percent of the nation’s forests at risk by 2027, according to a study published this year in the journal Ecological Applications. The tiny invaders could put several species of hemlock at risk for extinction, threatening the biodiversity and stability of ecosystems across the country and cutting a carbon sink for mitigating greenhouse gas emissions. Globalization has opened the door for hundreds of invasive pests, from the Asian longhorned beetle to the emerald ash borer. And climate change, it seems, will make it even more difficult to evict them.